The variation in ERAP1 can be detected by genetic testing which, if available, could lead to people becoming aware of the risk of the condition earlier. Ankylosing Spondylitis is a chronic inflammatory disease which mainly affects joints in the spine. In severe cases, it can eventually cause complete fusion and rigidity of the spine, called "Bamboo spine". It tends to first develop in teenagers and young adults with most cases first starting in people aged 20-30. Ankylosing Spondylitis is around three times more common in men than in women and there are around 200,000 people in the UK who have been diagnosed with the condition. Although there is currently no cure, treatments and medications can reduce symptoms and pain, and very early diagnosis may even help to slow progression of the disease. It can take up to 10 years to make a diagnosis so a genetic test could revolutionise management of Ankylosing Spondylitis, the researchers say. 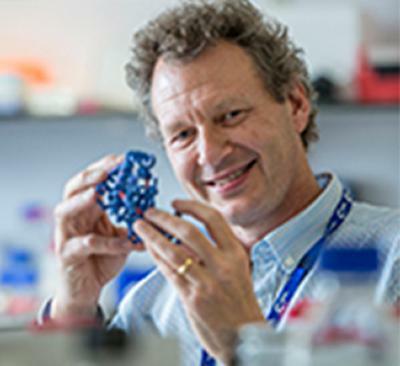 Professor Tim Elliott, who led the study with Dr Edd James at the University of Southampton, comments: “These natural variations in ERAP1, which are normally involved in T cell immunity, predispose individuals to Ankylosing Spondylitis. We have also discovered how variations in ERAP1 change its enzyme function – and this means that it might actually be a target for developing new drugs to treat Ankylosing Spondylitis. During the study, published in the Proceedings of the National Academy of Sciences USA, the team sequenced DNA encoding the variations in ERAP1 found in patients with Ankylosing Spondylitis and controls. Results showed there were at least 13 different variants. Each of us has two copies of ERAP1 and the research showed that only certain pairwise combinations were found in patients but not controls. The Southampton team, based at the Cancer Research UK Cancer Centre at Southampton General Hospital, was working on the importance of this enzyme in generating immunity to cancer when they made the discovery. They are now working to see if there is an association between ERAP1 variants and head and neck cancer.